The deserved success of Crazy Rich Asians has ostensibly opened the door in Hollywood for more Asian-American actors in lead roles. Hopefully the powers that be have finally seen proof that diversity sells. Not only is Crazy Rich Asians a delightful tale, it’s also full of charismatic performers, each of whom could carry a film on their own. Those paying attention know the Asian-American star power just waiting to be fully utilized, with actors like the tragically underutilized John Cho. 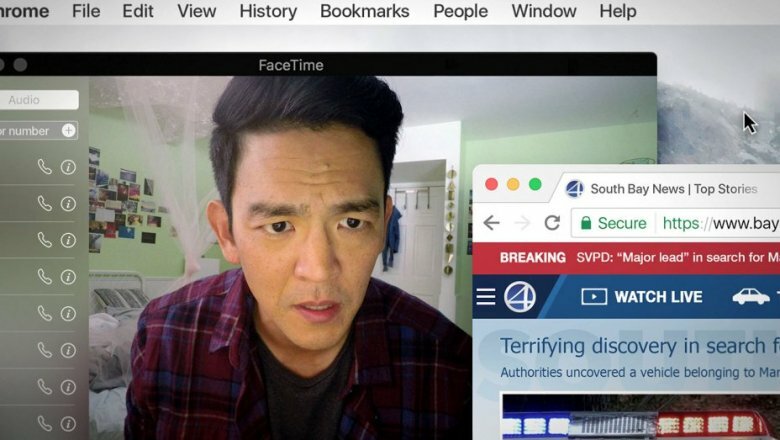 This weekend, writer/director Aneesh Chaganty’s film Searching, which stars Cho as the first Asian-American lead in an American thriller in wide release, will be playing in a theater near you. See it. This movie must be seen by those who want to reaffirm the message that audiences want greater onscreen diversity. It should also be seen by anyone who loves an inventive flick so full of suspense, it will keep them guessing till the very last scene of the movie. Widower David Kim (Cho) is a single father to his daughter Margot (Michelle La). He works hard, keeping up with her studies and extracurriculars while trying to move forward with her after the loss of their beloved wife/mother. He keeps up with her via text, which is shown, much as all the computer and technological elements of the film, as a cinematic device. They seem close. One day, she goes missing. When David has to break into her laptop and look for clues about what might have happened to her, he realizes he doesn’t know her as well as he thought. Aiding him in the search are Detective Vick (Debra Messing) and David’s brother Peter (Joseph Lee), who might know more than he’s letting on. Fans of John Cho know it’s beyond time to see him in a non-Asian specific lead role. He has proved his talent and thespian skill in comedy, drama, and action. In Searching, he is able to really shine, relaying his desperation through nuanced physical cues, never overplaying a character that could have, in lesser hands, become a cliche of the overwrought parent in crisis. The less said about the plot, the better it will be for viewers who love a good old-fashioned thriller. Nothing is what it seems, and twists abound. The story is most impressive in its use of laptops, computer screens, video chats, and texts as the basis for the entire movie. It’s been done before, but never with such success. When Crazy Rich Asians released, a number of celebrities and activists bought out theaters to expand viewership and prove the importance of representation. Word of mouth has made a huge difference to the film’s success. This will be as true for Searching. It’s both a very entertaining movie, and an opportunity to support wider diversity onscreen. Talk about it, tweet about it, and get yourself to cineplex so you can both enjoy it and make a difference.